Following the big trade that sent Rajon Rondo from the Boston Celtics to the Dallas Mavericks, all eyes have been on the All Star point guard. Rondo was traded to Dallas in exchange for small forward Jae Crowder, power forward Brandan Wright, point guard Jameer Nelson, a 2015 1st round pick and a 2016 2nd round pick. 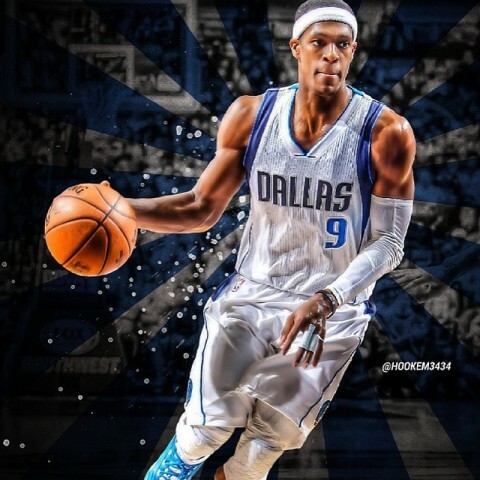 Rondo is best known as a facilitator for great offensive players and inserting him into the Mavericks’ starting lineup forms one of the most talented starting fives in the NBA that includes Monta Ellis, Chandler Parsons, Dirk Nowitzki, and Tyson Chandler. As we have seen in the past, teams with incredible talent take time learning to play together so I wouldn’t be surprised if there is a bit of a transition while Rondo learns the calls and plays. Rondo was the last remaining member of the 2008 NBA champion Celtics still playing in Boston. In the past few years, the Celtics have been blowing up the veteran lineup and replacing them with younger players. Paul Pierce and Kevin Garnett were traded last year while Ray Allen left in free agency two years ago. While playing for the Celtics, Rondo had averaged 8.8 points, 7.5 rebounds and 10.8 assists per game in 22 games this season. Rondo dropped 21 points on 10-17 shooting while dropping seven assists and grabbing eight rebounds in a 102-98 victory over the Los Angeles Lakers on Friday night. The timing on the passes between Rondo and his teammates still needs work, but the offense has shown glimpses of brilliance. Rondo returns to Boston on January 2nd and should receive the same type of ovation as Kevin Garnett or Paul Pierce.